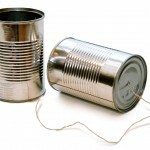 In an era when dial up Internet is dying in the face of the high speed Internet access innovative methods, some companies still continue to make substantial gains on the strength of their dial up Internet connections. For those who have already allocated dial up Internet to a bygone era of technology, AOL is showing a new picture, or to be more precise the same old picture. How many of those out there are still using the AOL dial up Internet connection? It seems that some Americans still prefer to use the traditional approach when it comes to surfing through the World Wide Web. This is not an assumption but a fact considering that AOL is continuously making over $500 million annually on the strength of its dial up Internet connections. The income is more than sufficient to offset the company’s corporate costs as well as to put a substantial profit at the bottom of the income sheet. Ironically, the profit is made from the old fashioned dial up Internet connection which is heavily frowned upon by most users since it doesn’t even allow the user to make a phone call while its hooked up to the Internet line. Yes, the cumulative user base for dial up Internet is getting less and less as the years pass. But AOL is still unhampered by this development as the company win on the loyalty aspect of its customers by way of offering them new value every now and then while charging a magnificently low rate for the snail pace Internet service they provide. However, whether or not AOL will continue to coax more of those $500 million a year is something that remains to be seen as the world is now entering a relevancy focused era when everything depend on efficiency and effectiveness.